Hello Everyone! 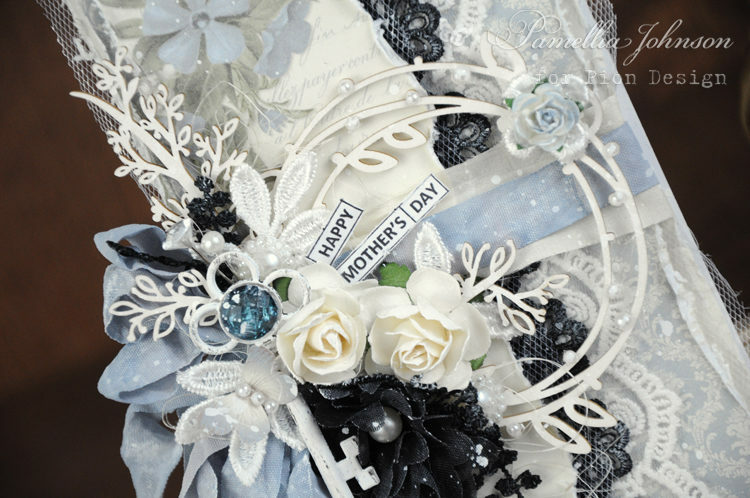 Today I am sharing a Mother’s Day card featuring the Pion Design collections “Days Gone By” and “Our Furry Friends“. 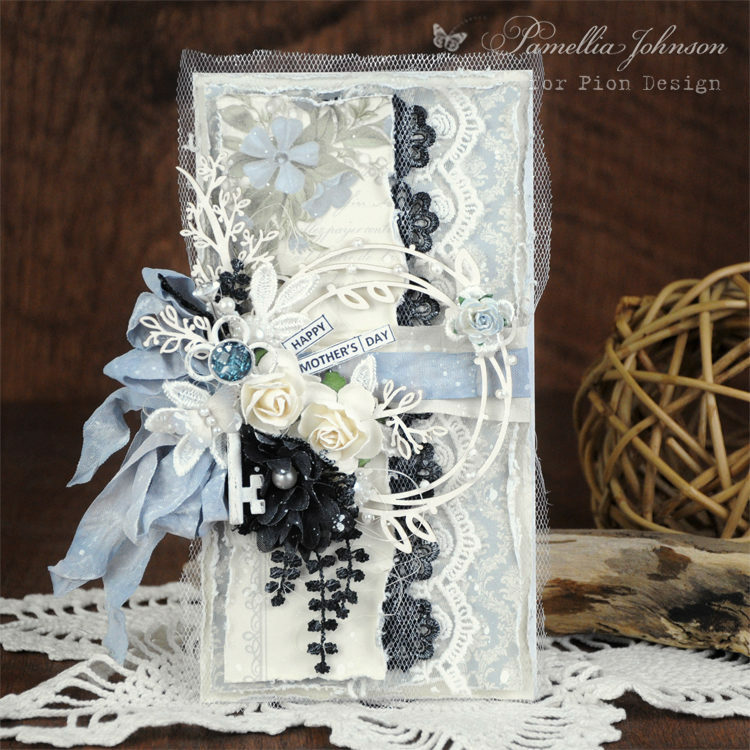 I love the blue flowers and elegant damask designs, so wonderfully feminine!